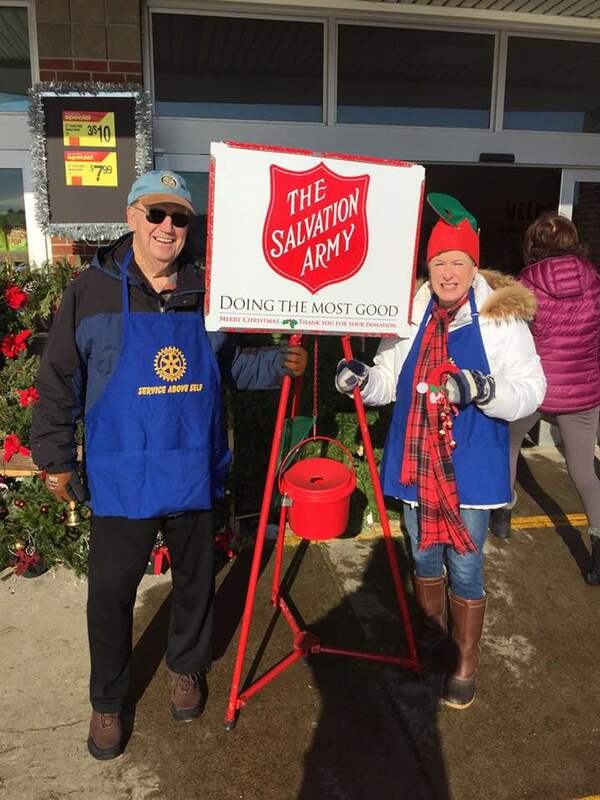 Saturday, December 16th was Rotary day at the Salvation Army kettles around Bath. 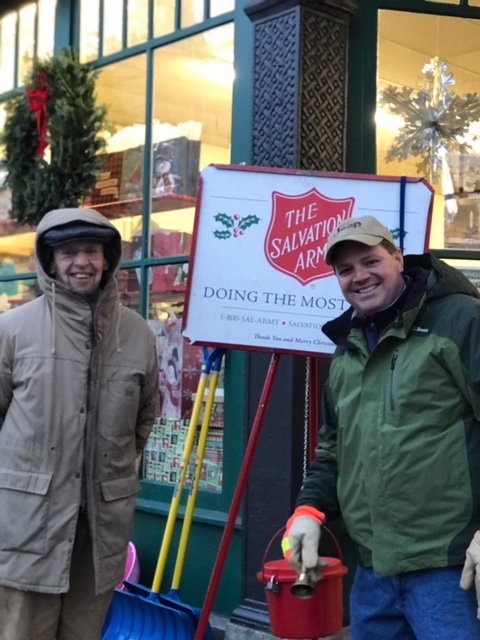 Above, Lee Patenaude and Annie Merry ring the bells at the entrance to Shaw's. Below George Dole and Mike Jamison on Front Street in front of Renys. We were joined by members of the Bath Sunrise Rotary as well. A nice collaboration to serve the community during the holidays.